Heat a few inches of vegetable oil to 350º in a cast iron pot. Slice Sgt. Pepper into six equal pieces and roll into balls. First roll cheese ball in rice flour, then dunk in buttermilk. Add panko to remaining rice flour and season with salt and pepper. 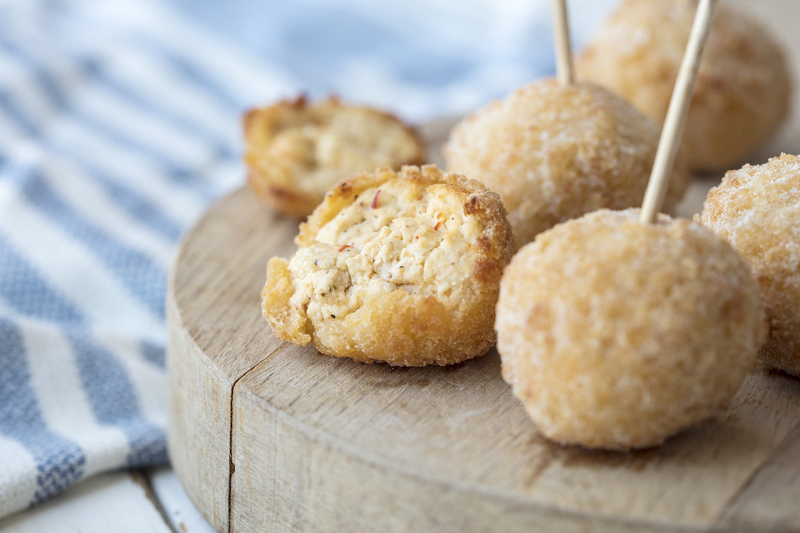 Roll cheese balls in breading mixture to cover. Fry the cheese balls for 30 seconds, until golden brown. Drain on paper towels. Sprinkle with salt.